I love layers during the winter...even doubling up on jackets. 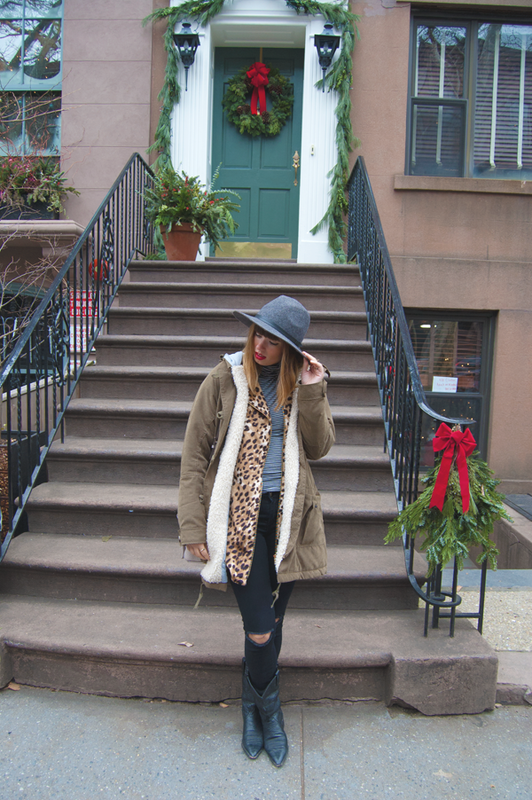 Love wearing a light jacket under my coat as a layering piece like this leopard print jacket. It's something that I can keep on while at work or out at brunch and use as a statement piece for my look. Also, doubling up on jacket on a cold day is a perfect way to stay warm and cozy. How do you layer up?